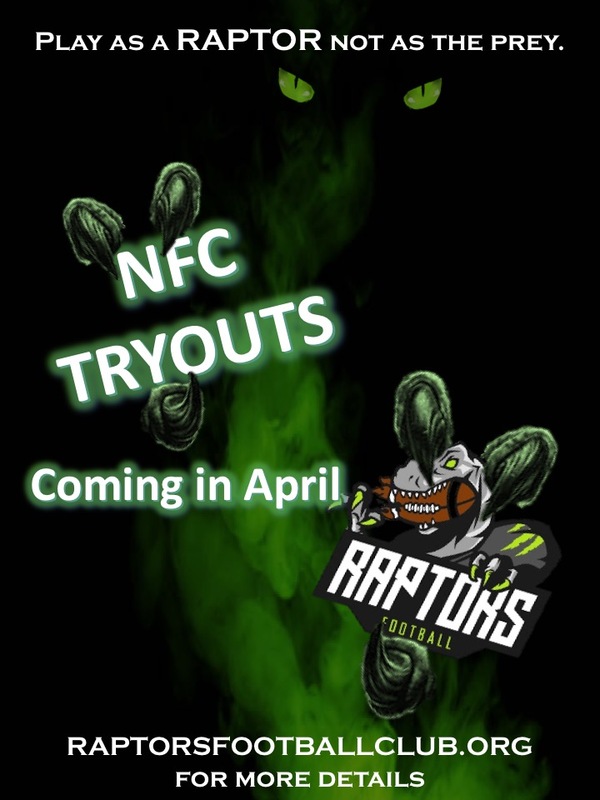 You MUST register for NFC tryouts! Please go to the "Register Now" tab to register for tryouts or CLICK HERE. Make sure you register for the correct teams NFC Tryout. No "walk-ups" will be allowed to tryout. REGISTRATION FOR NFC TRYOUTS WILL CLOSE ON THE DAY BEFORE YOUR AGE GROUPS TRYOUTS (see info below). THE BELOW TEAMS/GRADES ARE FOR PLAYERS ENTERING THESE GRADE FOR THE '19-'20 SCHOOL YEAR IN THE FALL. Tryouts will be held at the Miller Activity Complex (MAC), indoor fields, located at 1375 W. Plum Creek Parkway, Castle Rock, 80109 (check your age groups information below to find out accurate information on the location of your age groups tryout). Each tryout will vary by team. This means that the coach who is holding the tryout will determine whether or not the tryout is full contact, helmets only, full pads, etc... Check with the proper coach to find out the format of your tryout. BEFORE the tryout, make sure and check with the coach holding the tryout to confirm the schedule and location.